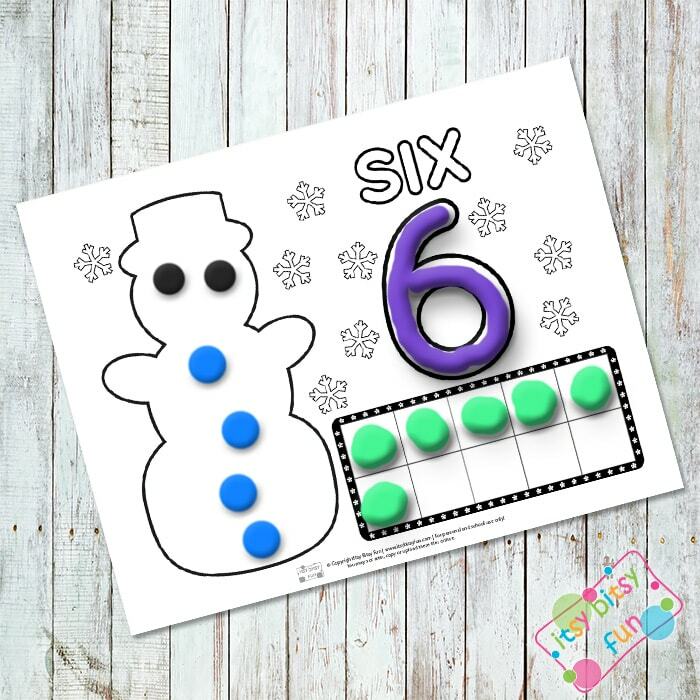 We absolutely love hands-on activities, so this time we prepared a new free printable Winter Playdough Mats Counting to 10 pack for your little ones to play with and practice counting while having lots of fun. Using playdough as a learning tool surely is a fun and effective approach when it comes to learning new skills. 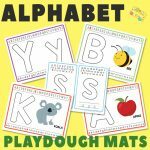 Let’s enjoy the colorful playdough and have a blast playing with these free counting mats. 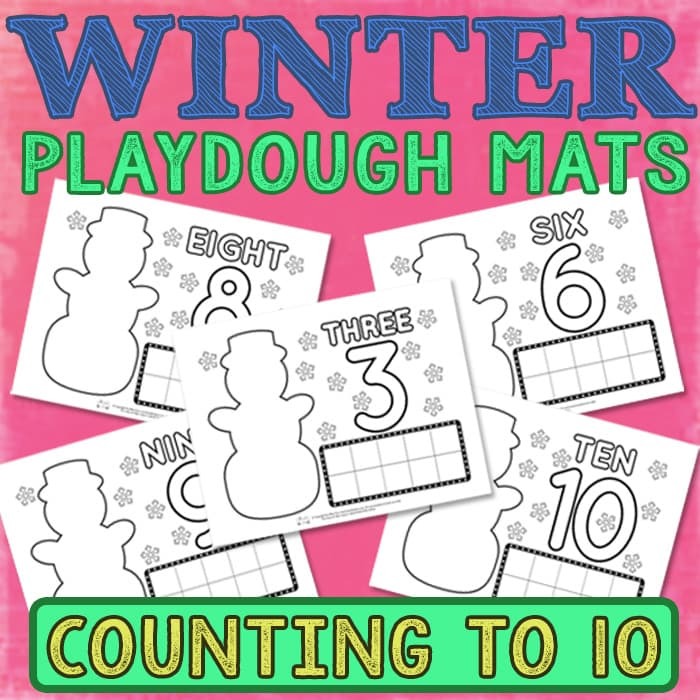 You will find 10 mats in this printable winter playdough counting to 10 pack. 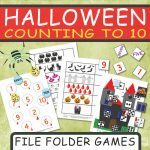 There are numbers from 1 to 10 on each counting mat. We strongly recommend laminating the pages for longer use, so the playdough won’t stick to the paper. If you don’t have a laminator, you can simply put the pages inside of a sheet protector to get the same result. Kids can draw on the protected sheet with dry erase markers to color the snowflakes or simply color anything they like. 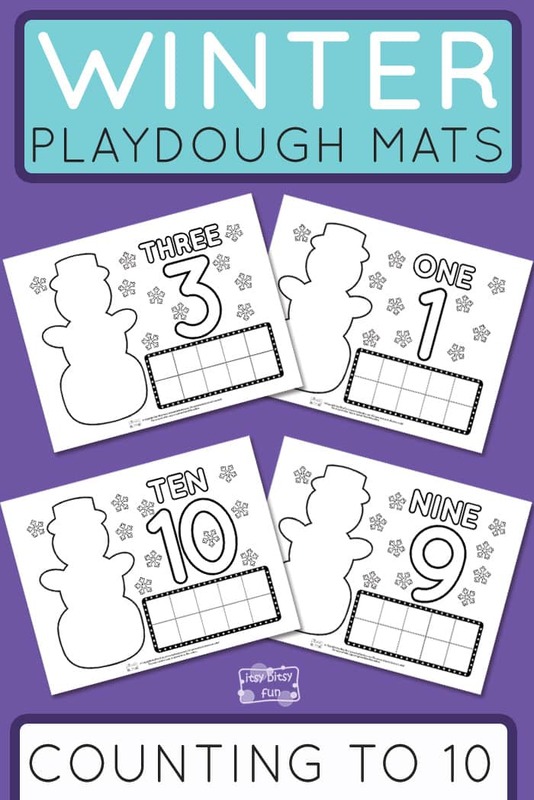 Each mat includes 10 snowflakes, so they can put their playdough onto them, or color the correct amount. Every page has a big outline of a snowman on its left side, where kids can put their play-doh. On the right side of the page, there is a number written in words and the outline of that same number. Kids can create different shapes with their playdough and place them within these outlines. In the bottom right corner, you will find a big blank ten frame, where young learners need to put on the accurate number of shapes they’ve created with their playdough. This way, they will also learn how to use ten frames and practice the counting all up to ten. 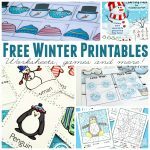 Get your free Winter Playdough Mats – Counting to 10 here. 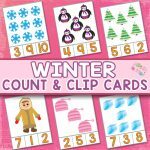 Practice some more counting with the Winter Count & Color Clip Cards and color the free Winter Color by Number Worksheets.